About a month ago, my sister Shira and I started taking a photography course at Humber. So far, we’ve kind of been wondering why we were taking it. It seemed in many ways well below us. It still does, but yesterday we finally learned something useful, something which alone is enough to cover the cost of the course. 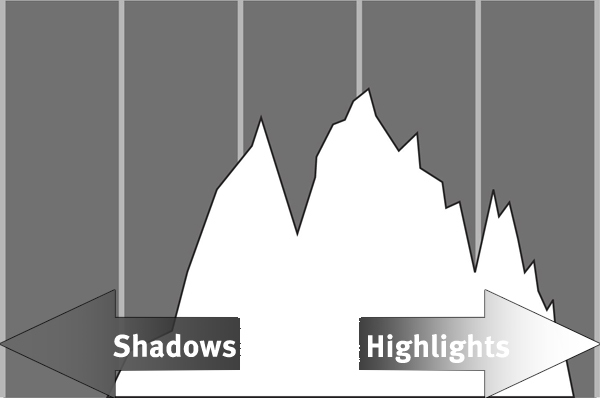 How to read a histogram. I’ve known for a while what a histogram is, but I’ve never understood how to read it, or how to use it to make my photography better. For those that don’t know, the right-hand side of the graph is white, left-hand side is black. If you want deep dark blacks, you’re going to find the peaks on the left side, and if it’s washed out, you’re going to see heavy peaks on the right-hand side. BLOODY EASY! In addition, it flashes in the areas of the image where something’s washed out, so if I stage light is washed out, who cares, but if Mark Berube’s forehead is washed out, I can stop it down a bit and accommodate for that. I am very happy right now.